On a recent visit to our local craft markets my partner Emma was approached by a stall holder to answer a question about his friends dog. One of my friends has a dog who is aggressive towards him. What’s going on there? He asked. Emma replied, that’s probably how he feels about himself. The man seemed gob-smacked, that’s exactly how he feels toward himself, he replied. After a moment of contemplation he then asked, hang on, in his last relationship he had a different dog and that dog was nervous toward him. What’s going on there? That’s probably how his partner felt toward him, Emma replied. A moment of silence and shock was followed by, that’s amazing. Emma was obviously spot on with her assessment. As Dog Whisperers/Behaviourists we must always consider whether any unwanted or unstable behaviour has something to do with their owners emotions, feelings and behaviour. From my own experience, I would suggest that in most cases it is. Many highly trained dogs have behavioural issues and there are many very well behaved dogs that have never been trained. 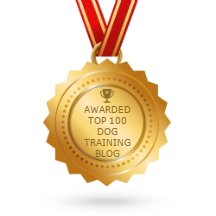 My experience is that dog training does not create a stable or unstable dog. It is the energy that their human guardians project that is most important factor in determining a dogs behaviour and mental and emotional state. Dogs are emotion energy sponges, and are constantly charged or animated by the conscious and unconscious emotions and thoughts we project at them. A dogs personality and behaviour is a reflection of the feelings and emotions of those it has emotionally bonded with. Dogs communicate emotional energy. The emotional energy they receive from us. Conscious or unconscious. This therefore means that if you don’t feel right about one of your neighbours, there is a good chance your dog wont either. If you feel anxious when guests come to your house, so will your dog. If you feel uneasy when talking to your mum, your dog will feel uneasy around her too (or her dog). If you don’t trust young children in your house, neither will your dog. If you are over emotional or have guilt when you pat your dog, your dog wont enjoy it, (I have had a client whose dog growled at her whenever she patted him through guilt). If you are a outwardly nice person but have suppressed anger, your dog will be aggressive. The list goes on and on. Sometimes this reflection can be the exact opposite of your emotion. If you are constantly trying to please your dog, over and above what would be classed as normal, this is coming from lack of self love and will be perceived as weak energy by your dog who will become dominant to reflect back at you your lack of self love. The feelings and emotions you share or put into a dog that are above and beyond what is reasonable and is really required or needed in any situation is directly proportional to what you hold back from yourself. Everything is a mirror. So why does this phenomenon happen. How is it that a dog can reflect their owners suppressed emotions. Its really quite simple and with experience glaringly obvious. Dogs feel what we feel, conscious or unconscious. In fact it could be said that your dog is being animated by your conscious and unconscious emotions and thoughts. We form a group mind with them. We are connected by emotion. Dogs respond to our emotional body and they feel what we feel even when we can’t. In fact your dog is constantly trying to make you feel better emotionally so it can feel better. What’s going on inside your dog is a mirror image of what’s going on inside you. Any thoughts you judge, from the thousands you have every day, whether you judge them as good or bad, creates a feeling or e-motion ( energy in motion) that must be expressed, often by your dog. As Dog Whisperers/Behaviourists we must then discover the owners charge. The feelings or emotions the owner has blocked or unwilling to express, which the dog is responding to. This blocked energy is simply something the person has judged about themselves. This charge within a person is reflected back to them by their dog. Another way to describe it is that your dog expresses your unexpressed emotions for you. And because you have judged these emotions or thoughts, you therefore judge your dogs expression of them i.e you feel bad or annoyed or guilty when your dog expresses them. You don’t like your dogs behaviour because you are really observing yourself. When you judge your dog you judge yourself on some level. There is really only one feeling, a positive attraction, often called unconditional love, and everything else is a resistance to it. This resistance is stored in our bodies as emotional blocks. . Thoughts create energy. A thought that is judged becomes a feeling in the body (emotion). When it is judged it is suppressed. This suppressed energy, or emotion we refuse to feel or deny becomes an emotional block that we will eventually have to express or it will make us sick. Because we have suppressed these emotions we will pull towards us circumstances in our life that show us that part of ourselves that we have judged. Because it is ultimately ourselves you have judged. Your dog is ultimately a reflection of you, because everything is you. You therefore do not love or accept yourself unconditionally. Your dog is really part of your unconscious / subconscious mind expressing itself so you can understand yourself and decide if this is who you want to be. Are these beliefs serving you? Is this your truth? Your dog is charged by your conscious and unconscious thoughts, feelings and emotions. In fact your whole life is. This emotion is stored in its gut and is expressed outwardly at anything it is attracted to or experiences resistance from. It is the height of human ignorance to medicate or train a dog in order to change its unwanted behaviour if we have not taken a holistic approach and considered all the factors that are contributing to the expressed behaviour. It is an unfortunate situation that most of us currently look at problems as outside of ourselves and rarely look within as their source.